Tempe, Arizona is home to Arizona State University and located in the heart of the Valley of the Sun. I am no stranger to Tempe, graduating from both high school and University. Many years later, I am back to walk down memory lane and explore my hometown. 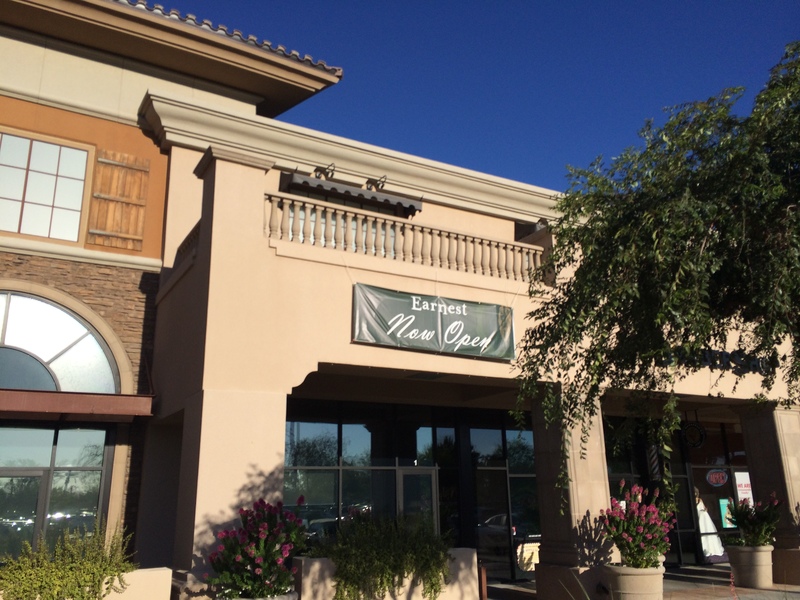 Tempe is no longer just a college town in the shadow of Phoenix and Scottsdale, this little town has grown up! 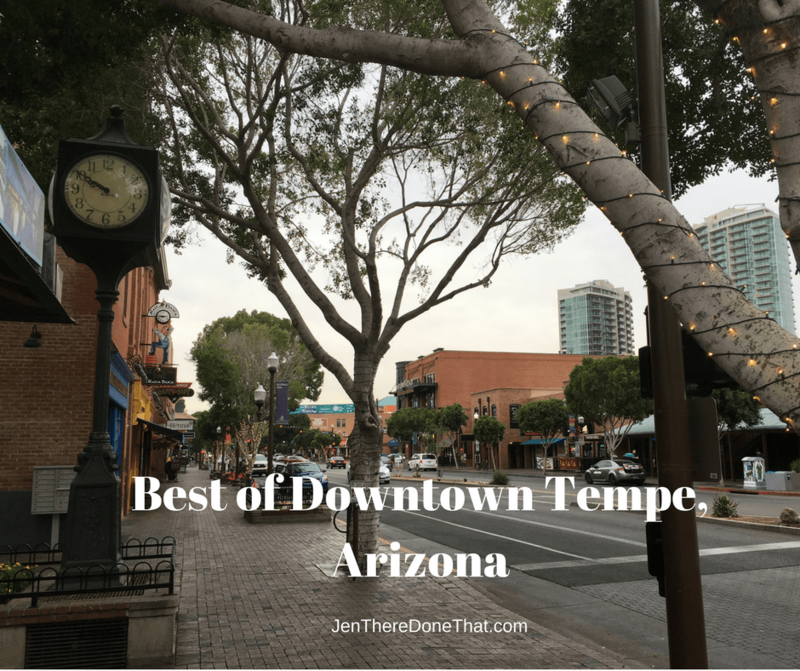 Offering an amazing variety of excellent independent restaurants, shops, and activities, Tempe is a wonderful blend of modern and hip fitting along the rich history of the town. 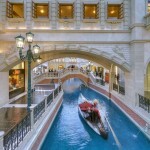 The Venetian and Palazzo Resorts are currently my favorite on the Las Vegas strip! 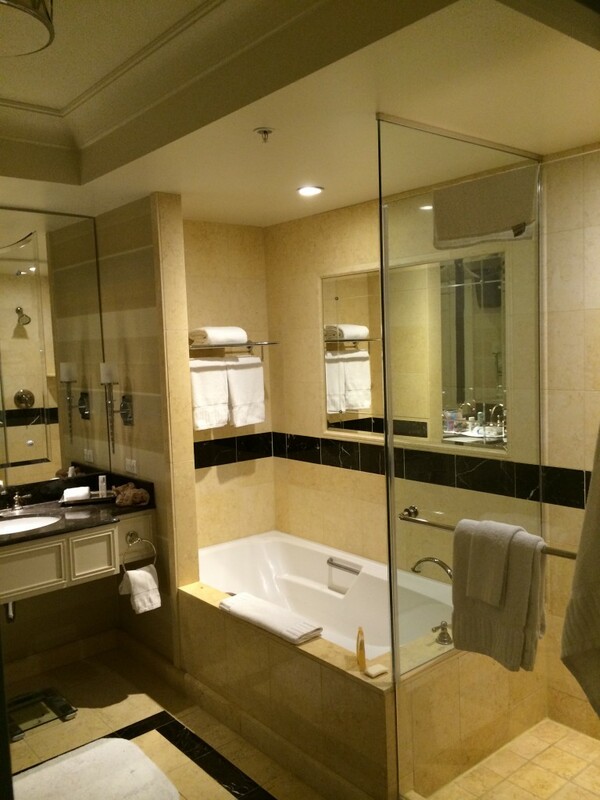 This self-contained resort is my favorite for gambling, shopping, dining, spa, pools, and sleeping accommodations. This visit, I tried a bit of everything. We arrived on a non-sports event evening and immediately found a quiet table at Lagasee’s Stadium for Po’Boys and BBQ Pork sandwiches. Delicious comfort/bar food in massive portions. Any evening with some sort of sport event this place is jam-packed and expensive due to set spending requirements for the privilege of sitting at a table. So we were lucky to have the place (mostly) to ourselves. 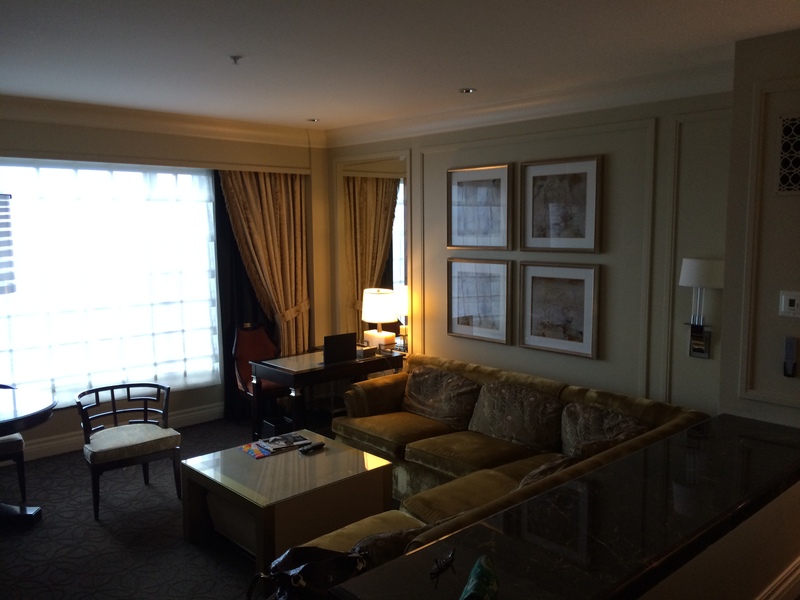 The rest of our group arrived for Girls’ weekend in Vegas and we checked into our adjoining suites. 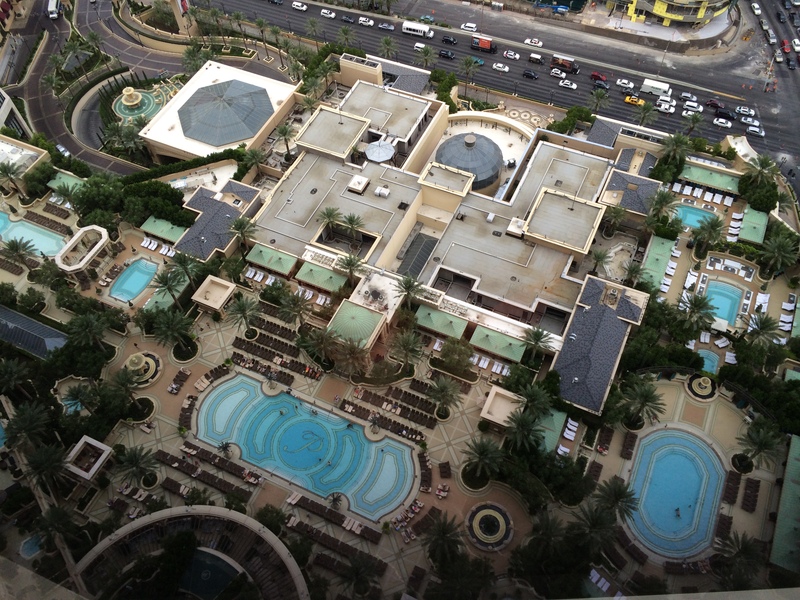 Connected through the bottom few floors, the Palazzo and Venetian hotel suites are almost identical. They each have the slightly sunken living room area and the same bathroom layout. We just happen to be on the Palazzo side of the resort. Our first evening, we walked across the pedestrian bridge to Treasure Island and only stayed a few hours. The air filters are not as efficient as some of the more upscale resorts and the smoker smell was starting to give me a headache. It was the only time we left the Venetian/Palazzo property the entire visit. 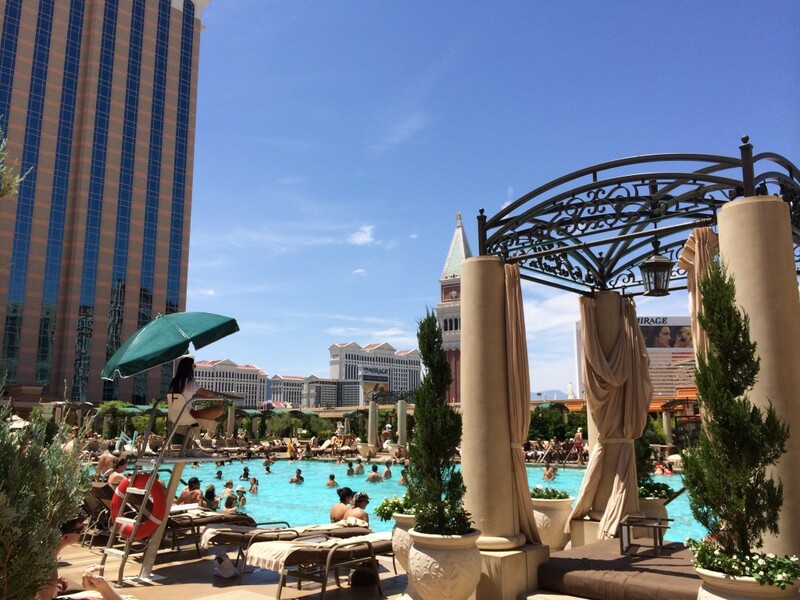 The Venetain and Palazzo share everything, Grazie loyaltly program, restaurant row, and the pools – where we spent our days. 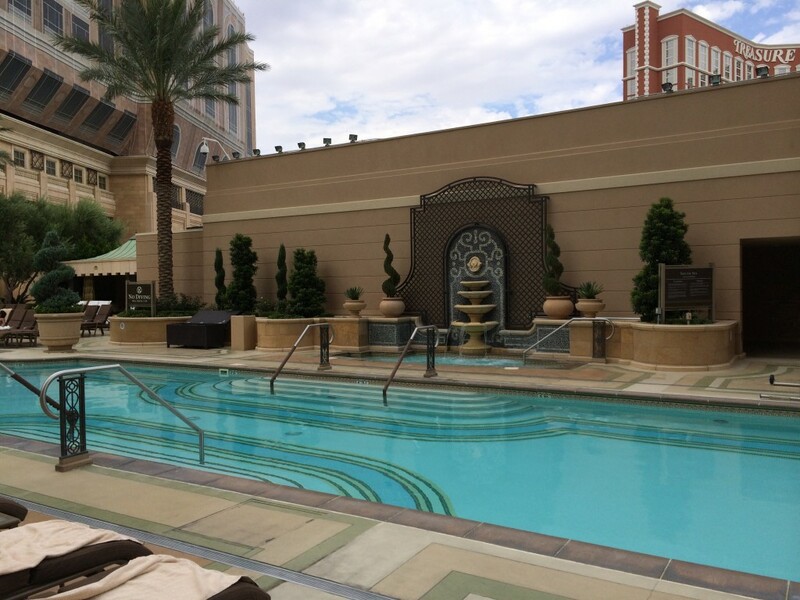 There are various options for pool depth, view, and nearby cabanas (daily rental). After the pool there is plenty of entertainment at the Grand Canal Shoppes, where the water filled streets of Venice are recreated complete with Gondolas. There are plenty of casual and not-so casual dining options with canal views and even more “above ground” choices without leaving the property. 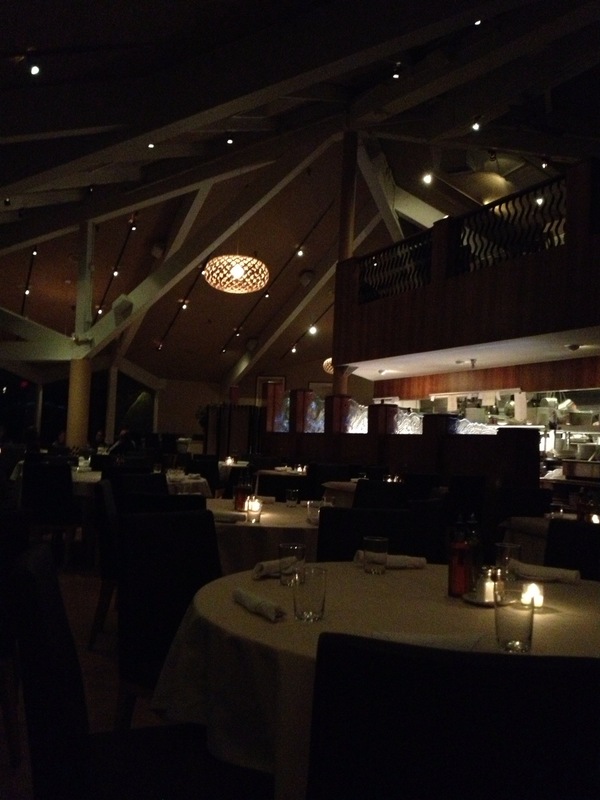 OpenTable is my favorite way to check availability, reviews, menus, and reserve a table. 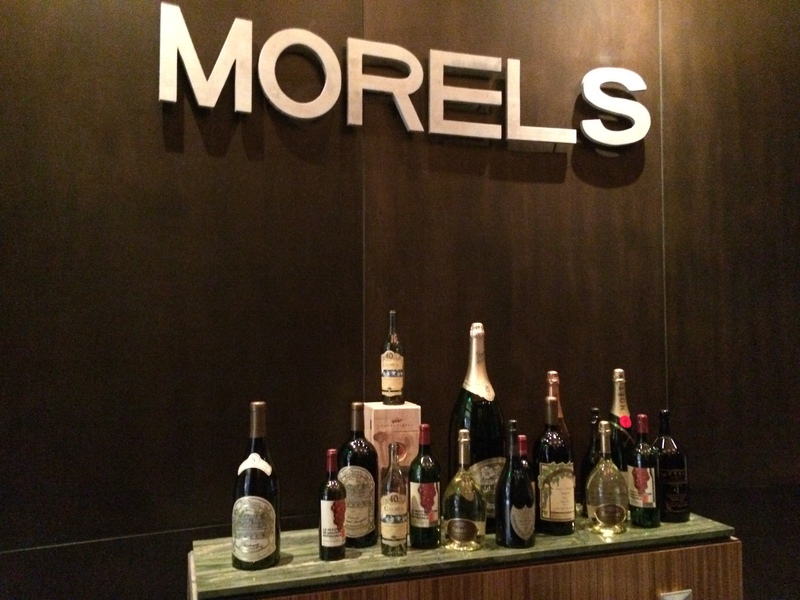 For a table of 5 of a Friday night, OpenTable suggested Morels french steakhouse & bistro. We were seated looking at an enormous wine wall and cheese bar. 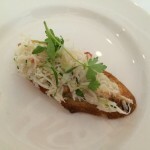 With so many scrumptious options, I went straight for the 4 course tasting menu. 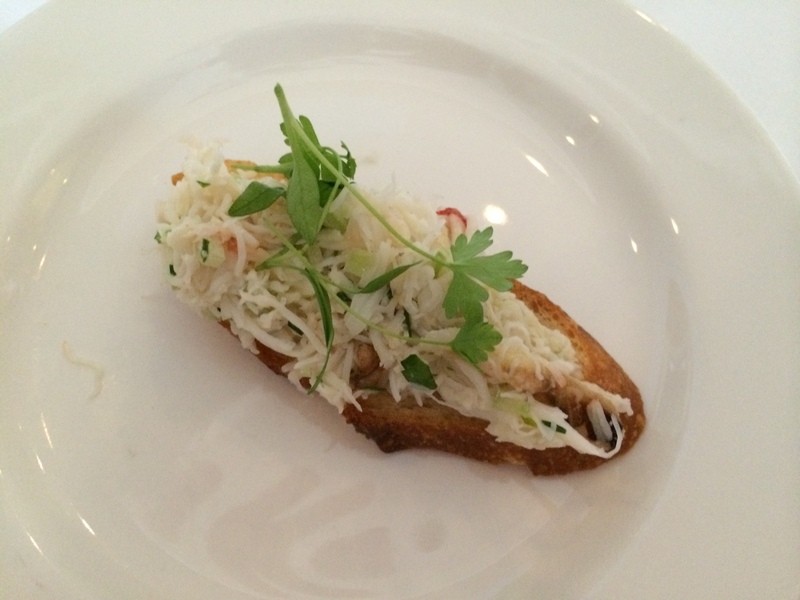 Crab appetizer, salad, steak dinner, and dessert – plenty to share. 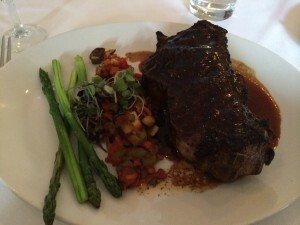 As expected, the steak was cooked to perfection and served in a tangy sauce. My dinner finished with a proper french cream filled pastry and side of hot chocolate sauce. However, my friend hit the dessert jackpot with the pistachio souffle! WOW. Table 10 offers a choose-your-own style tasting menu, of 2 or 3 options for each course. Rather than picking one of the typical salad options, I could not resist the summer sweet pea soup with creme fraiche. It was rich, frothy, and light all at the same time, and my favorite course of the evening. The bar was packed during happy hour, then cleared out for an hour sweet spot before the dinner crowd started to arrive. 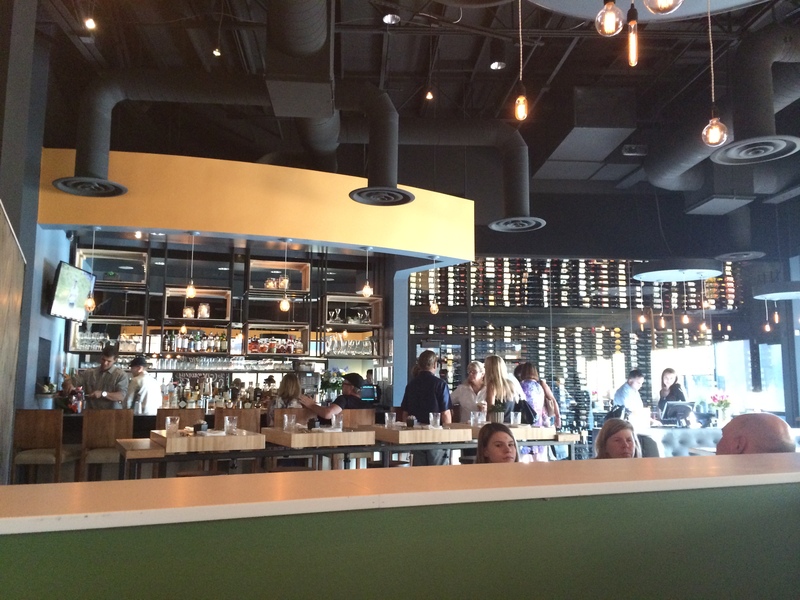 The kitchen view bar seating looks like a great option for solo dining. 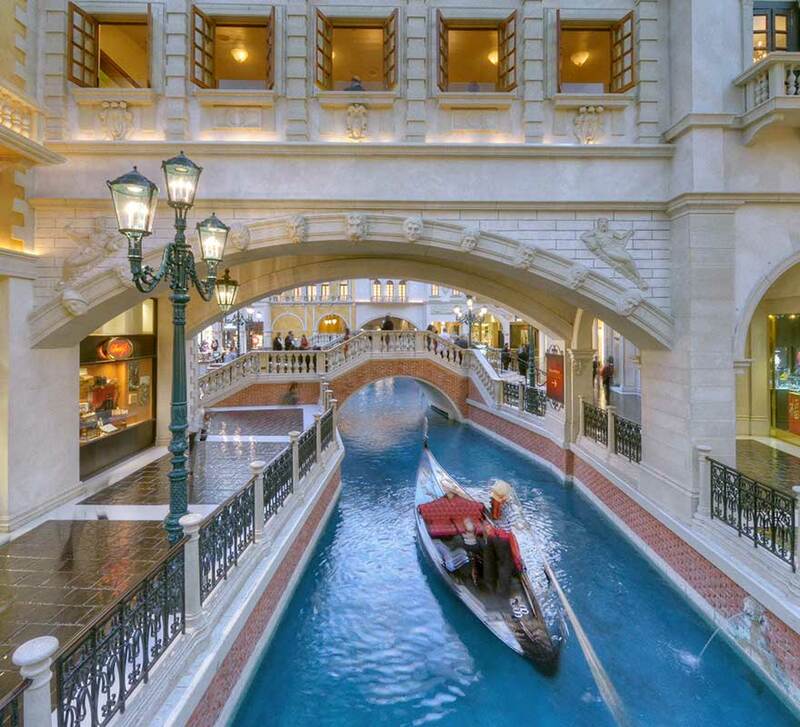 There are new restaurants in the Venetian/Palazzo corridor opening this fall, in addition to the established dining options, it is a great excuse to try something new. Which I think is the other motto for Las Vegas. 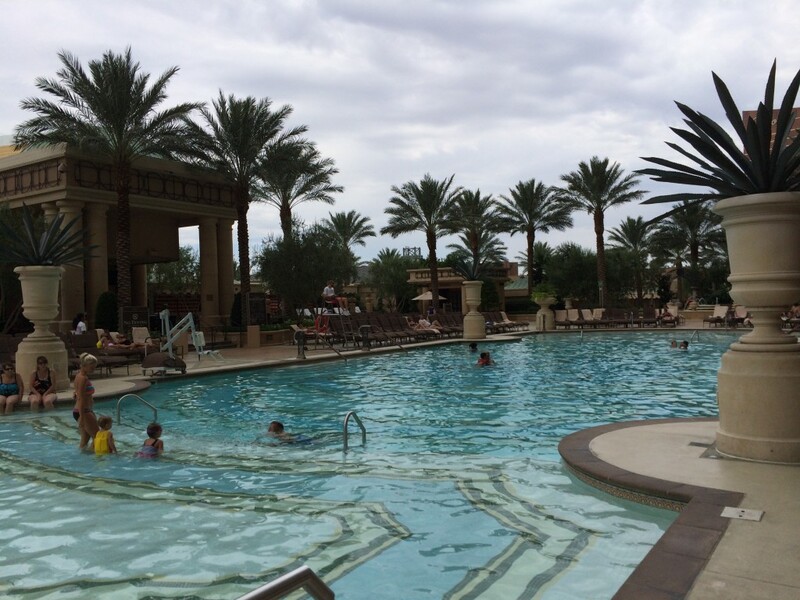 We rounded out our sleeping, shopping, spa retreat, pool lounging, and eating vacation with a bit of gambling. It was a fantastic little break for quality time with the girls! Earnest Restaurant opened in Chandler last week after a menu and atmosphere re-design from my beloved Cork. Even with all the reassurances from the owners and staff before the redesign was unveiled, I was worried! 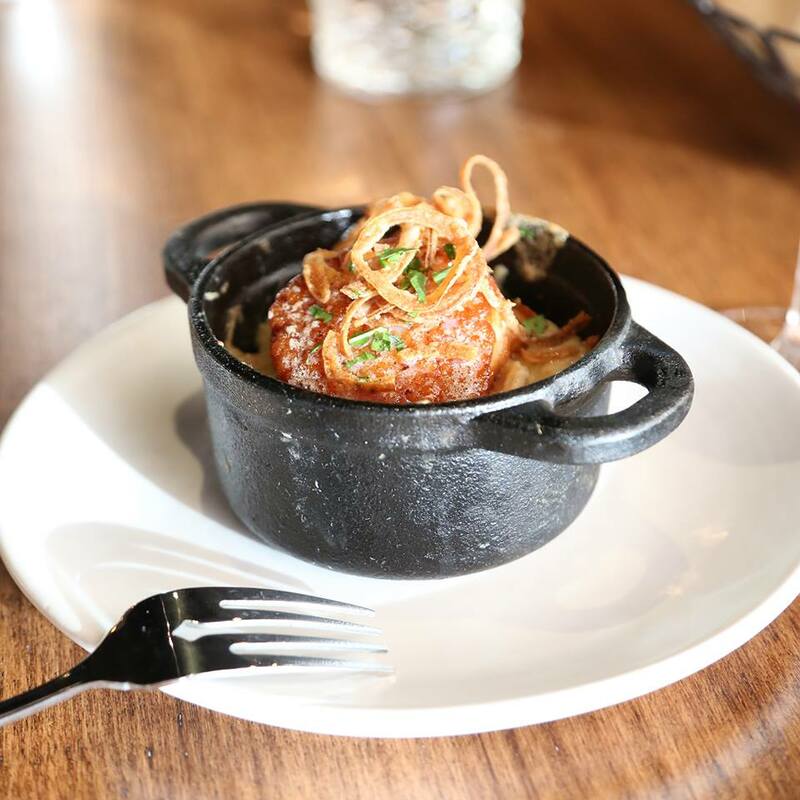 Executive Chef Brian Peterson is still creating the same style high-quality American cuisine with more focus on comfort food and larger portions. Pastry Chef and Partner Danielle Morris is still serving her amazing Banana Cream Pie and continues to amaze with her delicious desserts. The changes? Earnest is a casual dining experience, rather than the more formal fine-dining from Cork. There are several community tables that can be converted to accommodate various size groups. It is louder. Earnest can seat more people, and due to the more strategic seating arrangement, there are simply more people than can get reservations and just walk-in for a table. The decor is modern industrial, yet the overall feeling is simple comfort. What is the same as Cork? The same owners Chef Brian and Chef Danielle, the same Manager Winston, and the same level of service from the (same) servers. 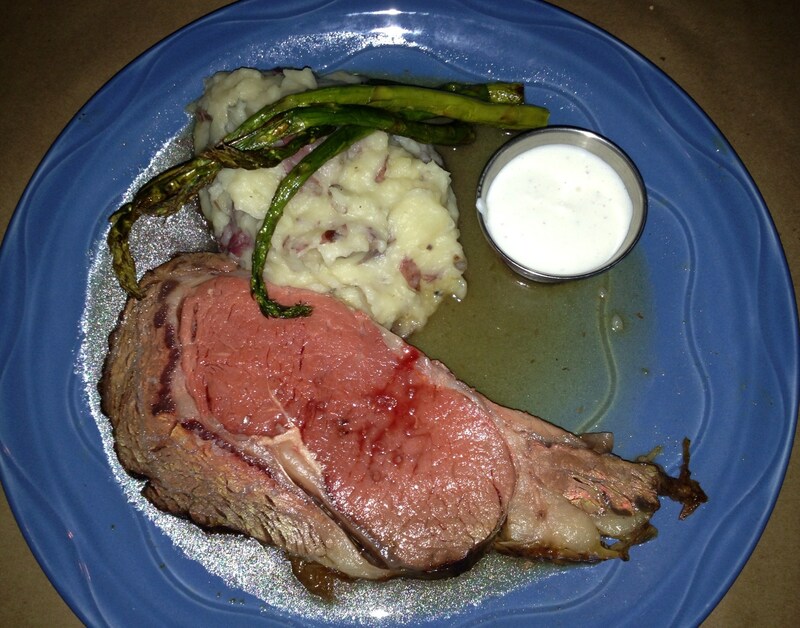 Saturday was busy, they were clearly short-handed, but the level of service stayed exceptional through-out dinner! Tuesday evening they were not as busy, Chef Danielle came by to talk to me before my meal to ask about my thoughts so far. Then Chef Brian came by after I ate dinner to ask how I was doing and what I thought of my Buffalo dinner. The owners listen to feedback and genuinely want everyone to have a great meal. Chef Brian assured me that he would continue to offer seasonal menu changes and continue to experiment with his entrees so it will never be boring. The staff is still very knowledgeable on the food and beverage selections. At seating, each table is provided with an iPad loaded with an interactive Wine menu, which I occasionally flip through. Then, I ask for wine recommendations from my server and am always pleased with the selection. These folks know their wine and have a fantastic selection. 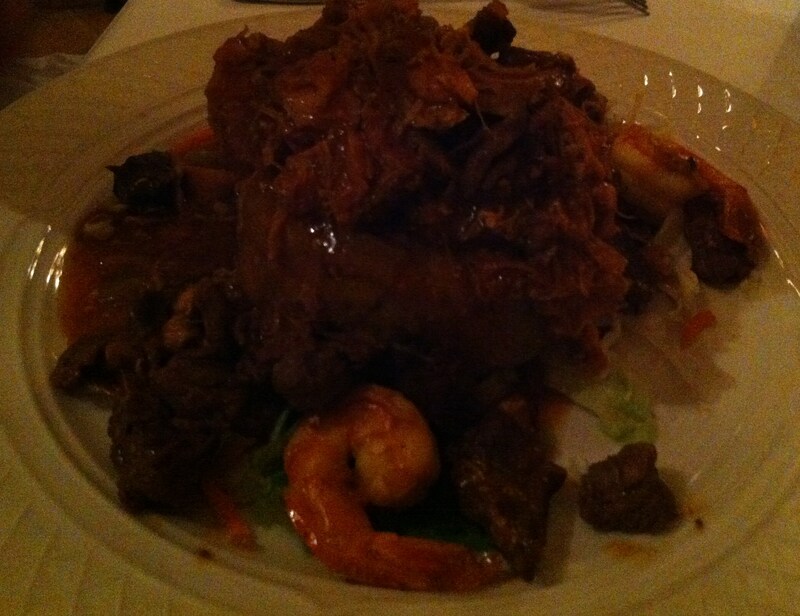 The food – AMAZING. Seriously, the scallop-tuna casserole was delicious. The scallop was cooked perfectly (Chef Brian nails it every time), and the onions on top were the perfect flavor enhancement to the delicate scallop atop tuna. 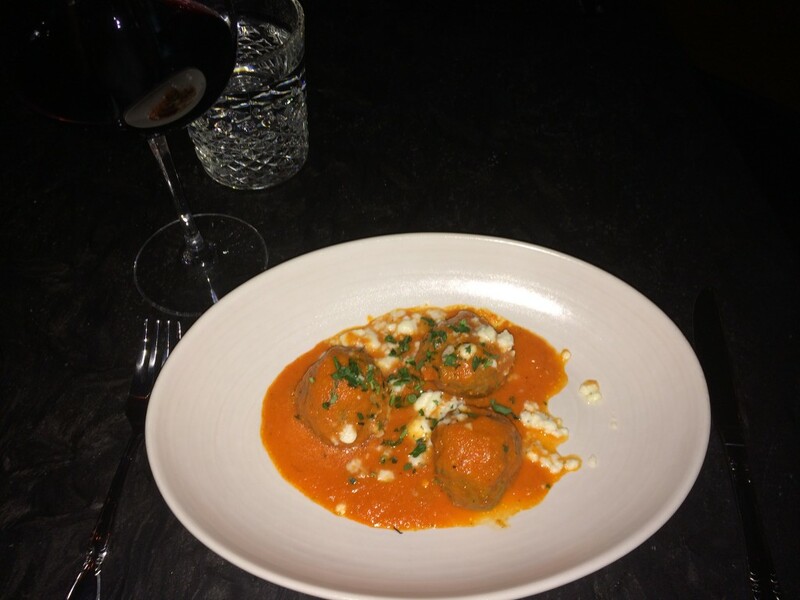 The next visit I started with the Lamb meatball appetizer. The feta was light and did not distract from the savory lamb that explodes with flavor in every bite. It is now my new favorite appetizer, until the next menu change. BBQ pork ribs is a comfort food staple, which Earnest manages to class up with bacon mac & cheese served with pork belly, and a side of coleslaw. The mac & cheese was so rich, I was glad there was only a small scoop, otherwise I would have eaten way too much. The coleslaw was light and tangy to perfectly compliment the sweet BBQ and savory mac & cheese. 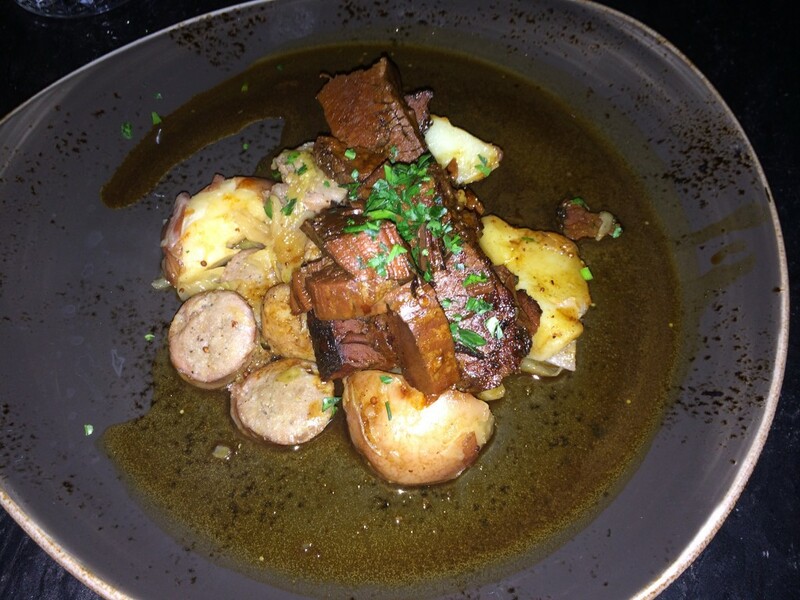 The Buffalo Brisket is served in a gravy-like au jus with bratwurst over cabbage and potatoes. The brisket melted in my mouth and was worth waiting for – they ran out Saturday night, so I had to wait until Tuesday night to try it. The bratwurst was good, but I think more vegetables would be a better accompaniment. The dessert options are the most noticeable change on the menu, there are more of them. Most of the dessert items are based on desserts we ate as children, such as cookies, house made “snickers”, and pb&j creme brulee. Of course, I sampled the Banana Cream Pie to confirm it is the same recipe when served under Cork, and it is the same. Whew. 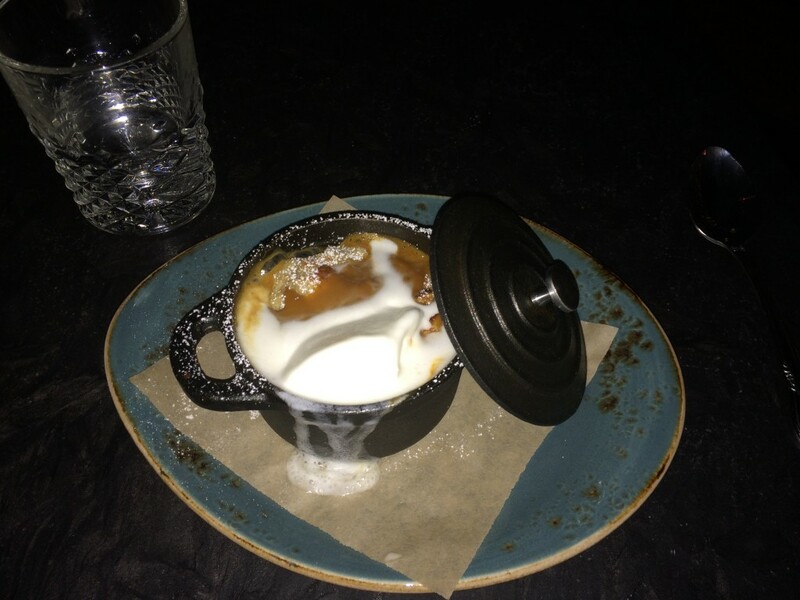 The Bread Pudding is served with goat milk caramel and creme fraiche ice cream. It looks small, but be sure you have someone to split this with! There was not enough ice cream for the amount of bread involved, but the caramel was so enjoyable I got past that by the third bite. 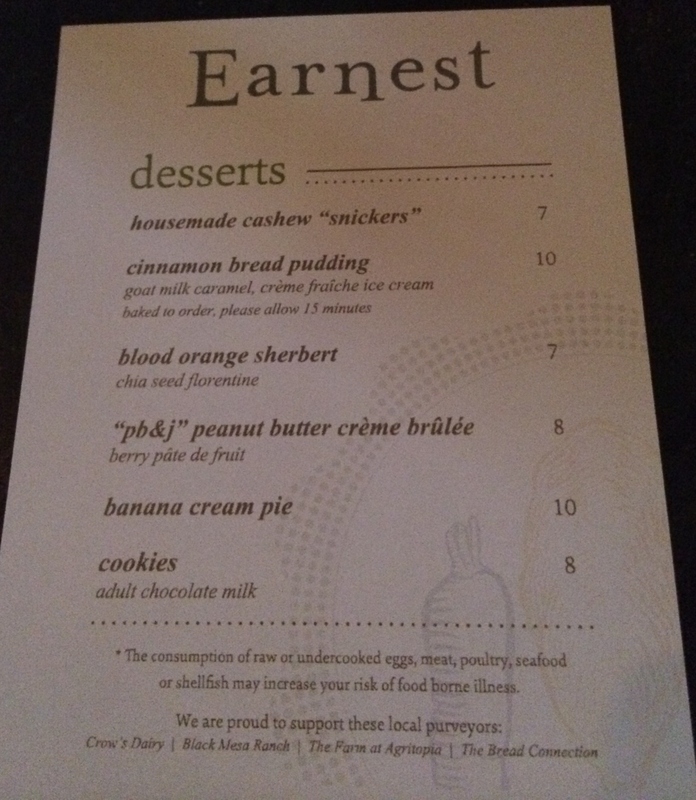 I am excited for Earnest and looking forward to many more great meals! Update: March 2016 Earnest announced final meals end of March and closing the restaurant. Half price wine and final reservations until the end of the month. When visiting any of the cool spots in New York state, like Lyndhurst Castle, there are many great dining options. 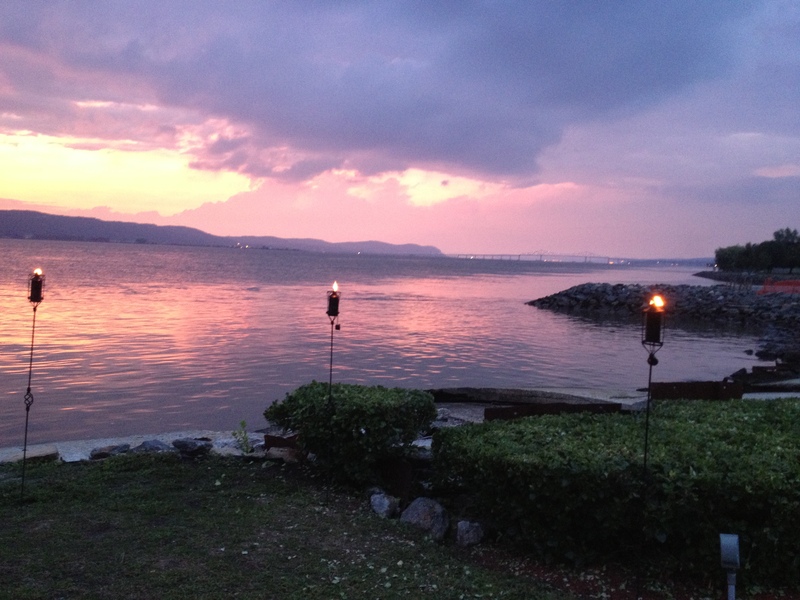 Half Moon located in Dobbs Ferry is my favorite mid-range ($20-30 plate dinner) restaurant with spectacular views of the Hudson river. Half Moon is much better than nearby Sunset Cove (great view, lousy parking, and last time a couple people in our group did not feel well after eating the “special”). There is plenty of parking right out front, and it is walking distance from the train station. In the low tourist season of autumn, Half Moon is offering daily Blue Plate specials. Fortunately for me, Monday night’s special was Prime Rib with mashed potatoes, asparagus and choice of soup or salad all for $19.95! Delicious, and prepared a perfect medium rare. They even served dinner on actual blue plates. 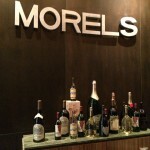 The wine list starts at $10 glass or $35 for a bottle. Overall, they have a decent selection of wines from all over the world at pretty reasonable prices. 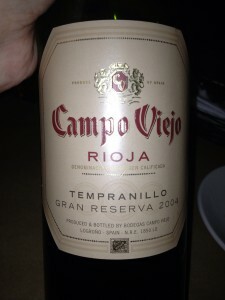 This visit we enjoyed a $52 bottle from Spain, and it perfectly complemented the Prime Rib! On previous visits, I have enjoyed eating seared tuna, lobster mac & cheese, delicious soups, and various salads. Half Moon serves consistently good food. Service is certainly better during low season, and on crowded nights it can take quite awhile for service. Reservations are recommended, especially during high season in summer. The outside patio is stunning and fills up fast! The patio was too cold for me during my mid-October visit, but we were able to get a table for four with a spectacular view, and without reservations. The entire city of San Juan was a pleasant surprise. 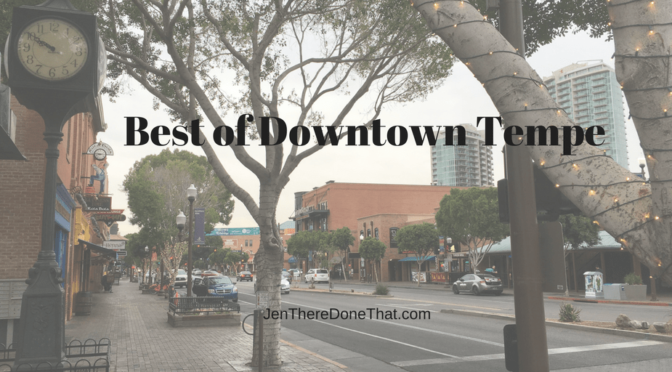 It is not quite modern America, but a blend between downtown Tucson and a historic town that time really does not closely pay attention to. 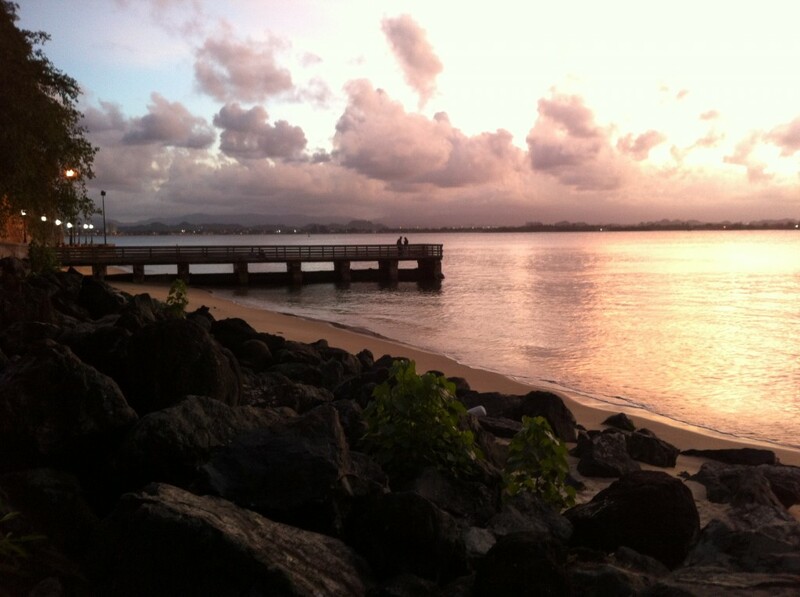 At 18 degrees north of the equator, the weather is fantastic and warm year round on the beautiful little island. We arrived at the port in San Juan and explored the old part of town on foot in a few hours. 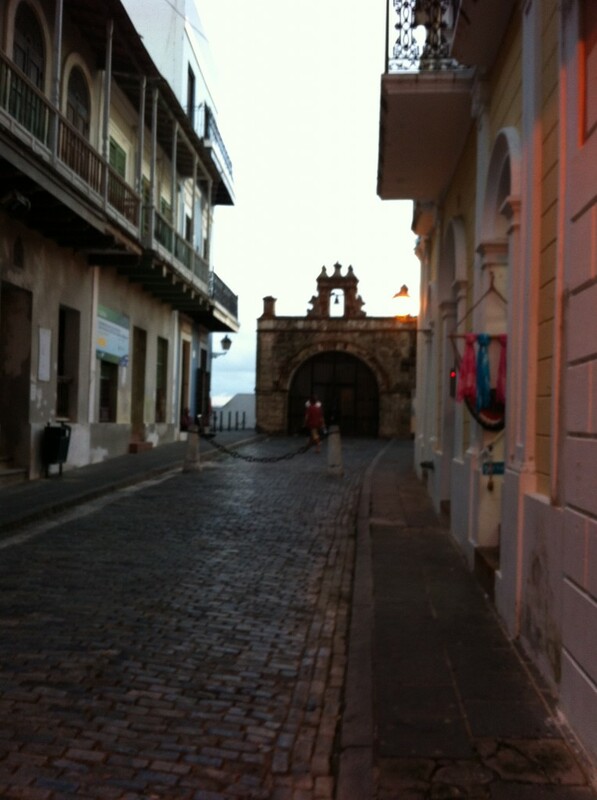 In old San Juan there are narrow cobblestone streets, historic forts, and gorgeous views of the water. All of that walking made us hungry, and thirsty. 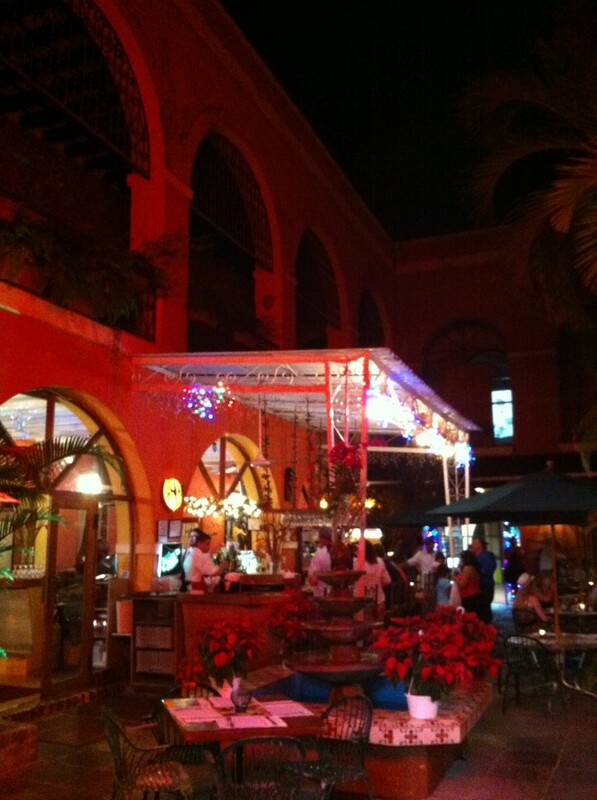 As a US territory, my smartphone had excellent coverage and thanks to Open Table we found Barrachina for dinner. Famous for the origin of the Pina Colada, it was the best Pina Colada that I have ever tasted! The food was amazing and fresh. 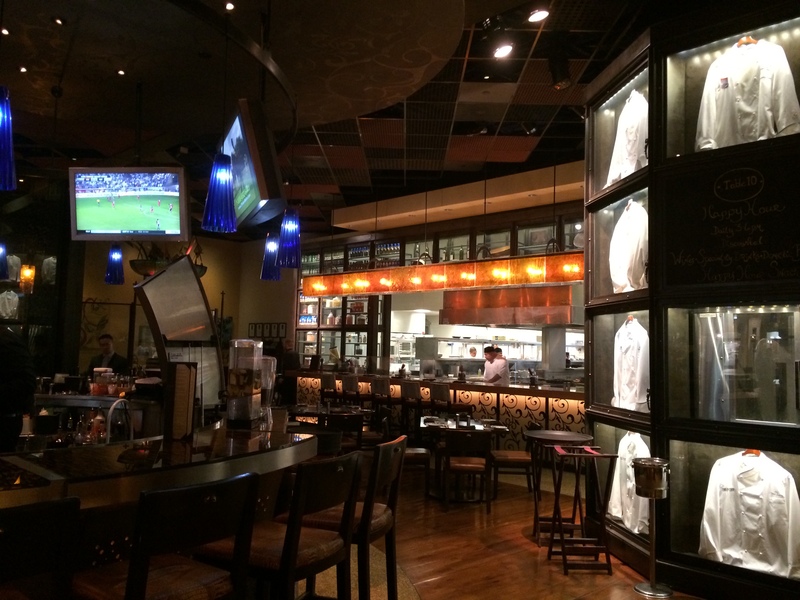 Barrachina is reasonably priced, providing great service, and amazing food. We started with Grouper Fritters that were fresh, perfectly prepared (not too greasy for breaded & fried fish), and delicious. Due to all of our walking before dinner, these yummy appetizers did not last long enough for a picture. Mofongo beef, chicken, and shrimp is a fried green plantain dish, that can only be described as a flavor explosion. My mouth waters just remembering how good it tasted. The spices reminded me of Spanish cuisine, complex and mild that would not count as “spicy” compared to any Mexican dish. The ultimate treat was the local caught, grilled whole red snapper fish with shrimp and putanesca sauce. Yes, it is a 24 ounce entire fish with scales, eyes, tail, and face. Admittedly, I skipped the eyes and tail. The fish alone could easily serve 4, then they added shrimp, rice, veggies, beans, and hearty tomato putanesca sauce. Two of us barely put a dent in this wonderful dish. With so much to see just in San Juan, we did not explored much of Puerto Rico and now I have another must-explore list to my future travel plans. 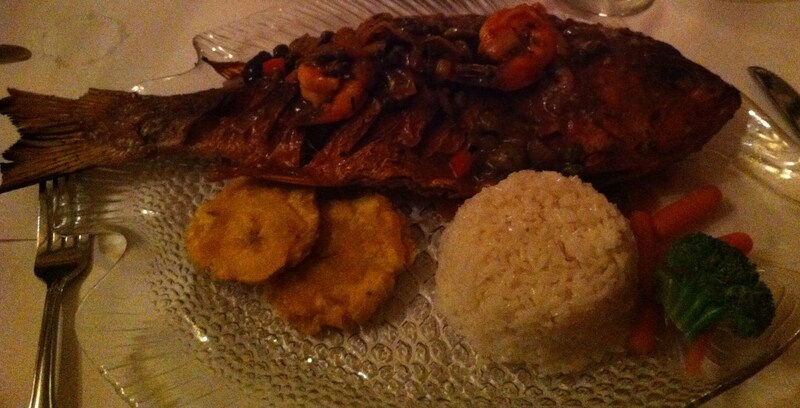 We will definitely dine at Barrachina on our next visit to Puerto Rico, which I hope will be soon!